Laser’s Edge is preparing for the late June release of the label’s third album from Chicago-based quintet, DISTRICT 97, titled In Vaults. 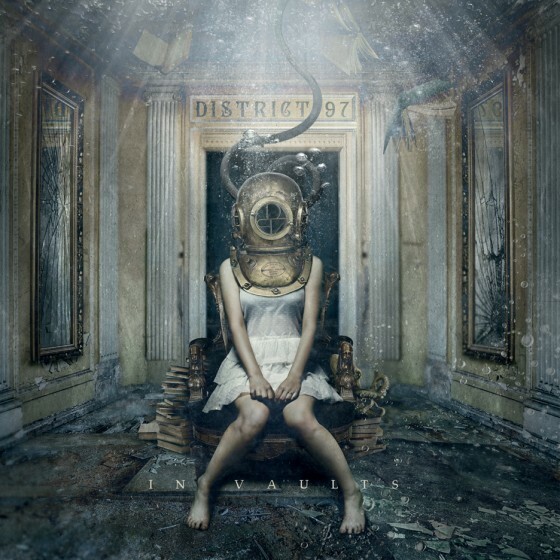 With an energetic and assorted blend of alternative/pop and progressive rock, DISTRICT 97 was formed in the Fall of 2006 by drummer Jonathan Schang, keyboardist Rob Clearfield, bassist Patrick Mulcahy and guitarist Sam Krahn, the latter eventually replaced by Jim Tashjian on guitar. The foursome honed a no-holds barred style of Liquid Tension Experiment-inspired instrumental rock before deciding the right vocalist was needed to complement their sound; enter 2007 American Idol Top 10 Female Finalist, Leslie Hunt. With a look, sound and stage presence comparable to a young Ann Wilson, Leslie’s dynamic performances pushed the band into a new direction that forged a unique marriage between accessible, catchy vocal melodies and an adventurous instrumental prowess. Capturing the attention of Laser’s Edge, the label signed DISTRICT 97 for the 2010 release of their debut album, Hybrid Child, followed in 2012 by their follow-up, Trouble With Machines, both albums balancing meticulous attention to detail and studio-craft with the visceral power of a rock band that is firing on all cylinders, and running the gamut from Meshuggah-inspired metal, the epic majesty of Yes, and the melodicism of The Beatles. Heavy bouts of live performances surrounding both records included a number of high profile festivals, opening support slots for prog icons Kansas, and even European and North American tours with John Wetton (King Crimson/Asia/UK). These spectacular shows saw DISTRICT 97 open with their own material, and then join forces with Wetton for a full set of legendary King Crimson tracks, as memorialized on their joint 2014 live album, One More Red Night. DISTRICT 97 will now proudly unveil their third studio full-length recording this Summer, once again through Laser’s Edge. 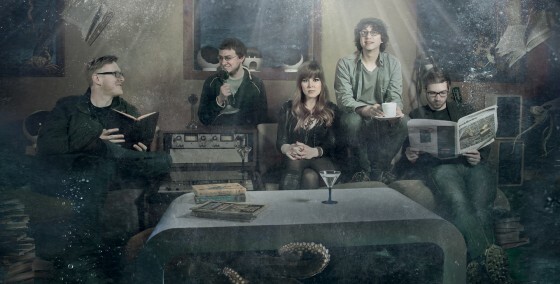 With just over a full hour of the band’s most dazzling instrumentation and vocal prowess yet, In Vaults was recorded at IV Lab Studios in Chicago, engineered by Chris Harden with additional engineering by Shane Hendrickson, mixed by Rich Mouser and Jeff Fox at The Mouse House Studio and mastered by Bob Katz at Digital Domain. The brilliant cover art by Björn Gooßes and the album’s track listing have been unveiled. In Vaults will be released on June 23rd, 2015. Stand by for audio samples, videos and more from In Vaults to be revealed shortly.